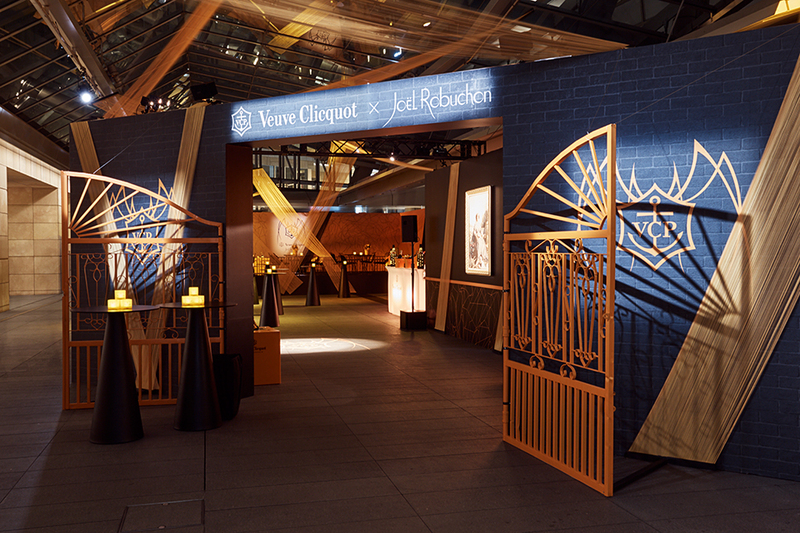 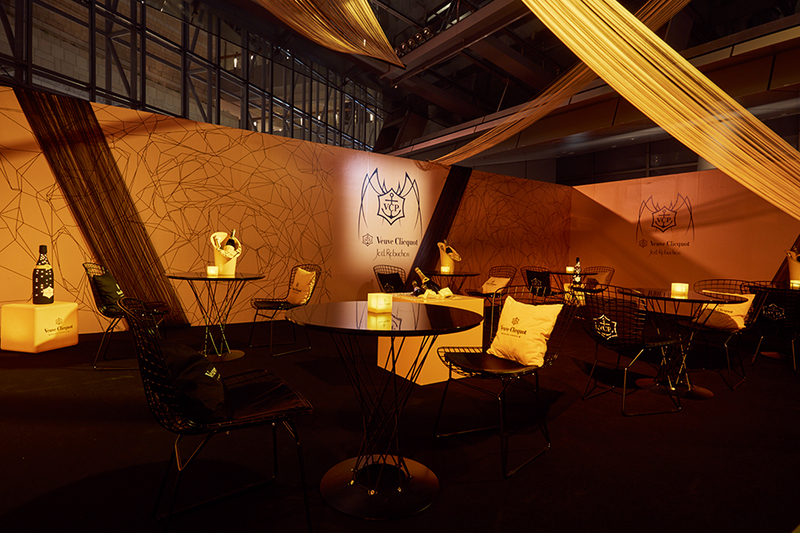 Works Detail | TITLE | Amano Creative Studio Inc.
Veuve Clicquot, created a pop-up lounge, in collaboration with Joel Robuchon, the World’s top gastronomy chief. 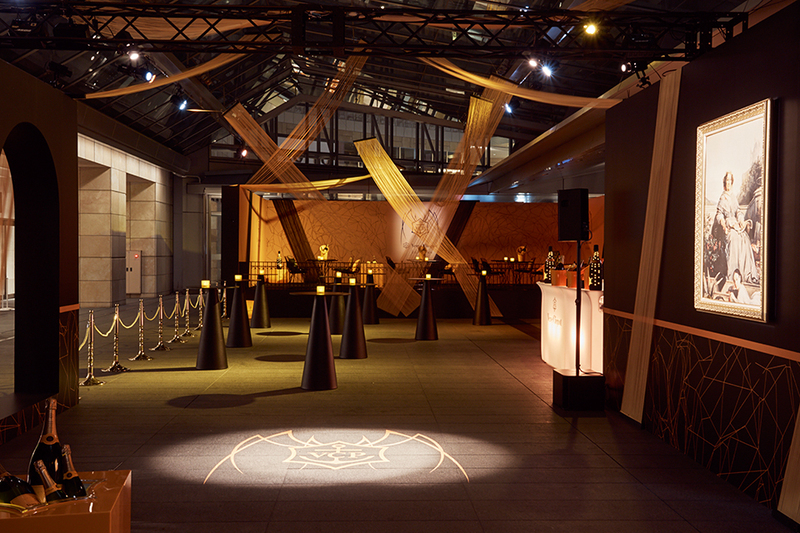 It was opened at the Oyane Plaza in Roppongi Hills, on Thursday October 8th, 2015. 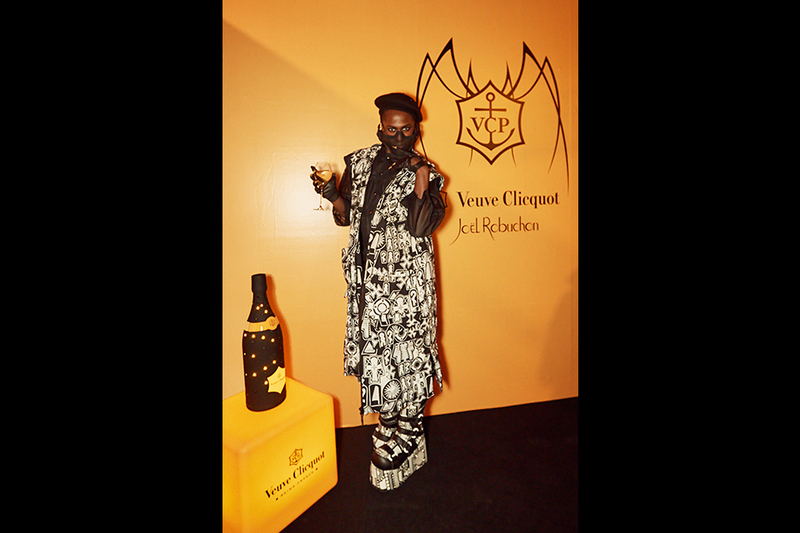 The opening party was held at Madam Clicquot’s mansion, where the eye-catching Clicquot Yellow spider that glows in the dark drew much attention. 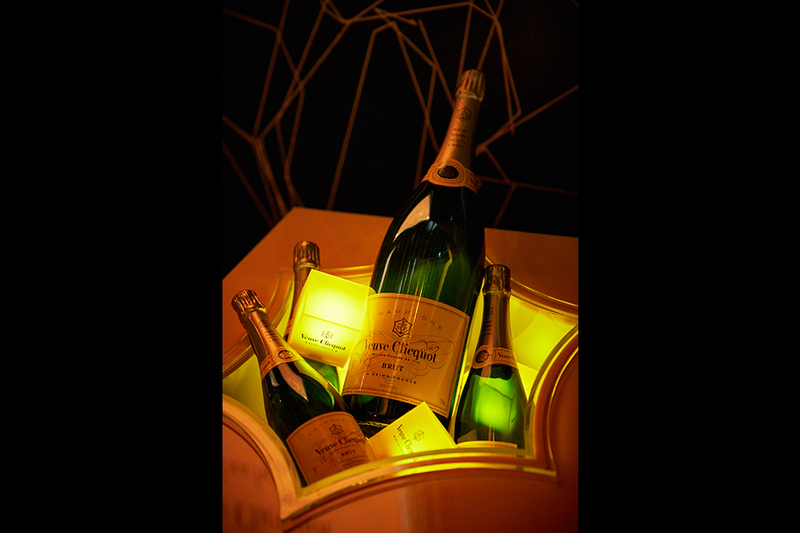 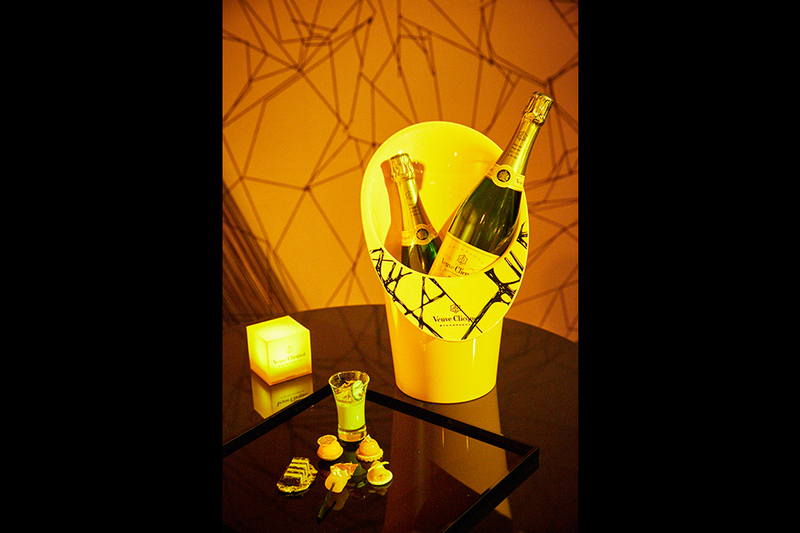 All the Veuve Clicquot fans were overwhelmed by the marriage between the glorious food of Joel Robuchon’s food and Madam Clicquot’s Champagne.